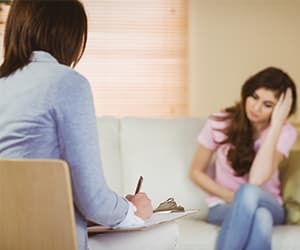 Treatment centers for personality disorders and substance abuse have options that can make living with a disorder and an addiction much easier. Doctors can explore options with patients, some of which may include talk therapy or medications that can control symptoms. Personality disorders can be difficult to manage, even when they are treated with the right medications. People with these disorders may struggle with interpersonal relationships, working, and going to school. Like any kind of disorder, a person must learn to cope and manage the symptoms. This page reviews the common personality disorders and how to get treatment for a personality disorder and a co-occurring addiction. If you or a loved one is looking for a rehab and recovery center for personality disorders and substance abuse, call us today at 1-888-319-2606 Who Answers? . The 24-hour hotline is available 7 days a week, which means you can get help whenever you need it. This mental disorder is characterized by a longstanding mistrust and suspiciousness of others, as well as paranoia. People with paranoid personality disorder are generally withdrawn, and they may have trouble forming bonds emotionally. Lack of interest in others. These individuals may demonstrate an internal fantasy world, although this is not always the case and may indicate that there is a schizotypal personality disorder taking place. This personality disorder is characterized by a person’s need for social isolation. In social situations, the person may suffer from anxiety or odd behavior. These people may not have any close relationships, as they make them feel uncomfortable. This disorder is slightly more common in males. According to the National Institute of Mental Health, 9.1% of the U.S. population has symptoms of antisocial personality disorder, avoidant personality disorder, or borderline personality disorder. This disorder is characterized by the pattern of disregard for the rights of others. The antisocial person may have immoral judgment, and a history of legal problems, crime, and aggressive behavior in not uncommon. Learn more about antisocial personality disorder and addiction. Self-harming actions and suicidal behavior are common, and these feelings may be intensified with drugs or alcohol use. Learn more about borderline personality disorder and addiction. This disorder presents as attention-seeking behavior and excessive emotional needs. The need for approval for people with this condition is strong. Inappropriate behavior, like seductiveness, may begin during the early years of adulthood. This disorder affects more women than men. This disorder may be recognizable due to the person’s issues with power, prestige, and vanity. These people may seem egocentric and care care little about others. People with this condition may take advantage of other to reach goals, become jealous easily, or exaggerate their own talents or achievements. Learn more about narcissistic personality disorder and addiction. This disorder can be recognized when a person has extreme feelings of social inadequacy, a lack and avoidance of social interaction, and sensitivity to negative evaluation. This disorder presents with symptoms of anxiety and low self-esteem. These patients may feel they need others and are helpless or inadequate without help from others. This disorder causes a preoccupation with perfectionism, control, orderliness, and efficiency. People with OCPD are different than those with OCD because they feel their behaviors are desirable. A dual-diagnosis clinic will be able to help people with these conditions who also suffer from alcoholism or drug abuse issues. Patients may be placed in therapy to help change their behaviors or to aid them in connecting with others. Detoxification is a major part of dual-diagnosis drug and alcohol programs, but patients will also be treated for the underlying condition that could be the cause or result of alcoholism or drug abuse. An inpatient clinic is the best choice for those with a dual diagnosis, and many patients will be placed in 60-day to 90-day programs, as they have more than one challenge to overcome. To find a treatment center to address personality disorders and substance abuse, call 1-888-319-2606 Who Answers? . Find a program that will be able to help you or your loved one lead a better life.